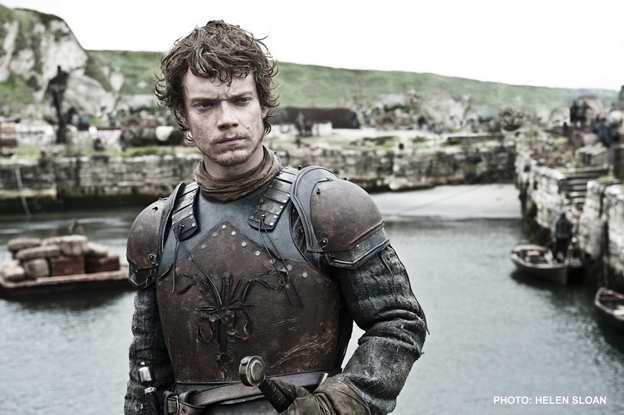 Don’t expect Alfie Allen to play a nice guy anytime soon. 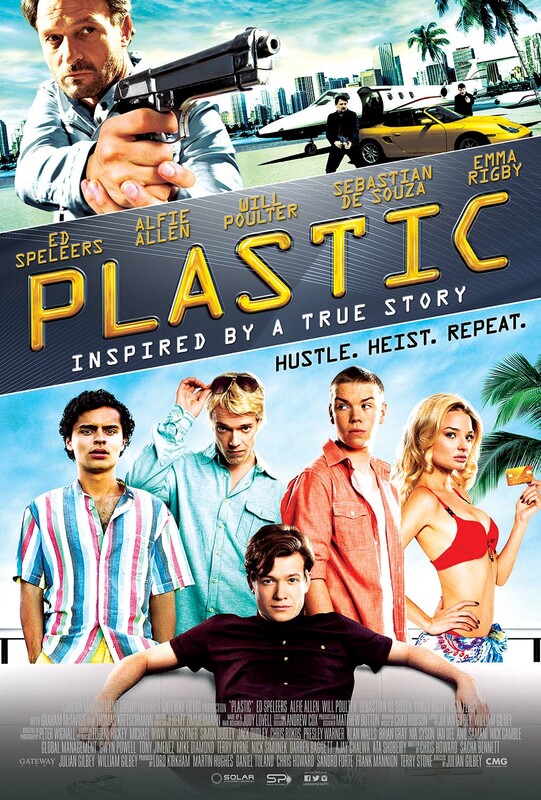 In “Plastic,” out this August, the Londoner portrays Yatesy, the roughest in a gang of four lads who stage a diamond heist. In “John Wick,” he played the son of a Russian mobster while Keanu Reeves stars as the titular character, a former assassin pursuing a more peaceful life until Allen’s character kills his beloved dog in a robbery gone awry. And, when “Game of Thrones” returns, Allen will resume his role as Theon Greyjoy, who betrayed the Stark family in a power grab — only to be betrayed by his men, taken hostage, tortured and turned into a slave called Reek. Alfie Allen, here as Theon Greyjoy on “Game of Thrones,” is set to take on bigger roles in movies and on television. It certainly seems that way. With his cutting cheekbones and icy blue eyes, Allen, 29, has an aura of danger and mischief — and the family background to back it up. His father is famously boozy British comedian Keith Allen, while his older sister is brash singer Lily Allen. Like his dad and sister before him, he was kicked out of various schools growing up. “I wasn’t expelled for anything vicious, just being cheeky, not doing what I was told … rising to the bait if someone said something annoying about my dad,” Allen told the Daily Mail in 2008. He says going to a boot camp in Fort Lauderdale, Fla., when he was 12 helped him get it together. In “Plastic,” the actor has even harder edges than usual, thanks to bleached-blond hair. “I was a bit dubious at first,” he says of the dye job. Director Julian Gilby had to convince him it was right for his character. The film is loosely based on the true story of a group of Manchester boys who managed to steal more than $3 million in gems from a Beverly Hills jeweler by posing as a prince and his staffers. The gang hired a private jet — paid for with a stolen credit card — to fly the jewels and jeweler to London. Upon landing, the envoy was shuffled into limos, and the gang’s leader drove off with the jewels. “Plastic” will hit cinemas nationwide on August 26 distributed by Solar Pictures.